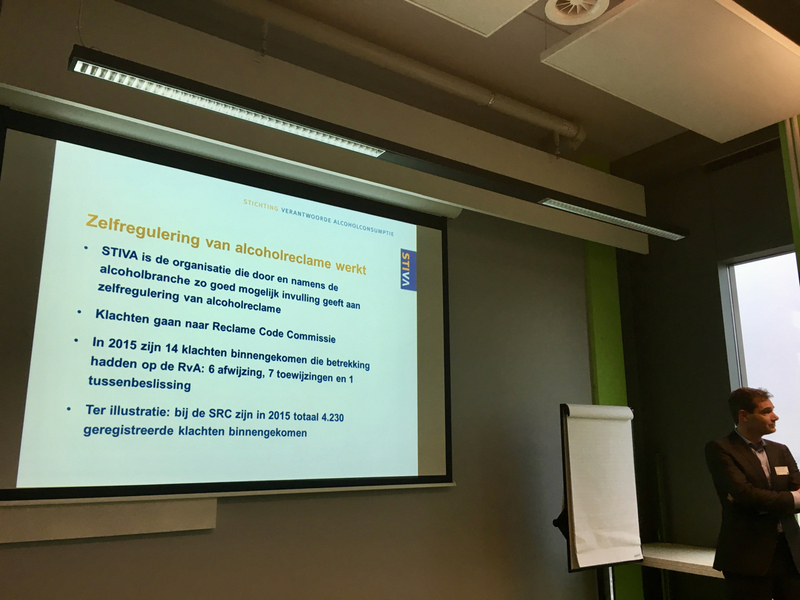 Thursday, December 15 2016 – On Friday December 9 2016, the second ACHC symposium was held in Amsterdam. 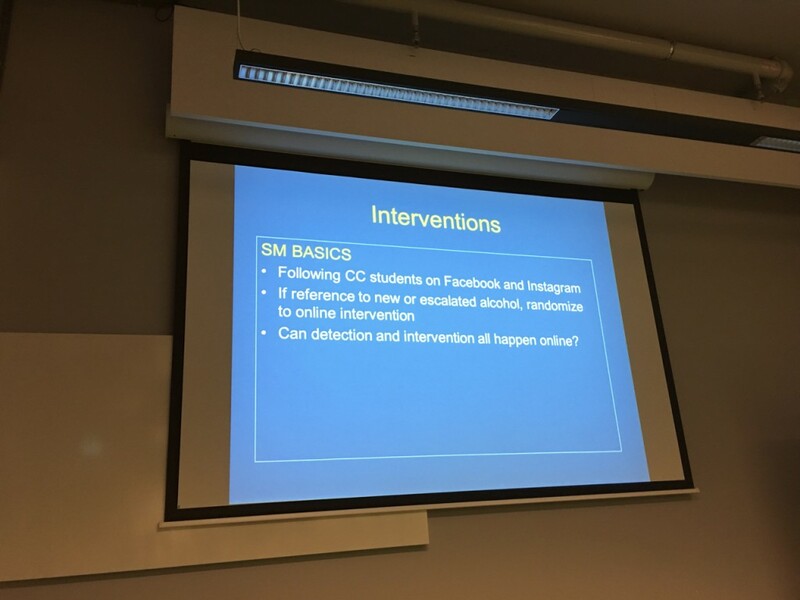 The purpose of the symposium was to inform science and practice on the role of social media in alcohol consumption among adolescents in an interactive session, based on recent scientific research and practical experience. 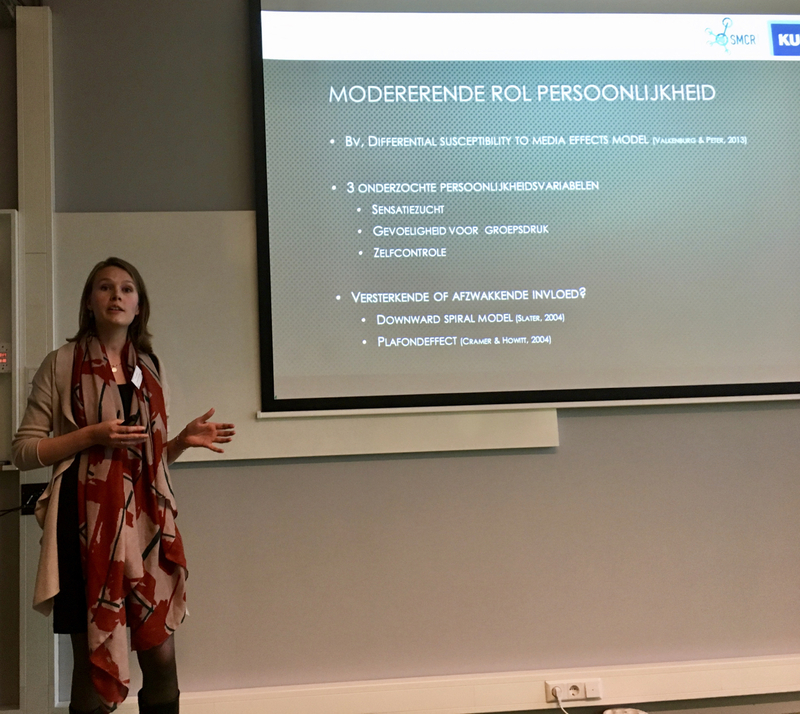 The symposium was made possible by RPA Personalised Communication and NWO Veni for Hanneke Hendriks (project number 451-15-022). 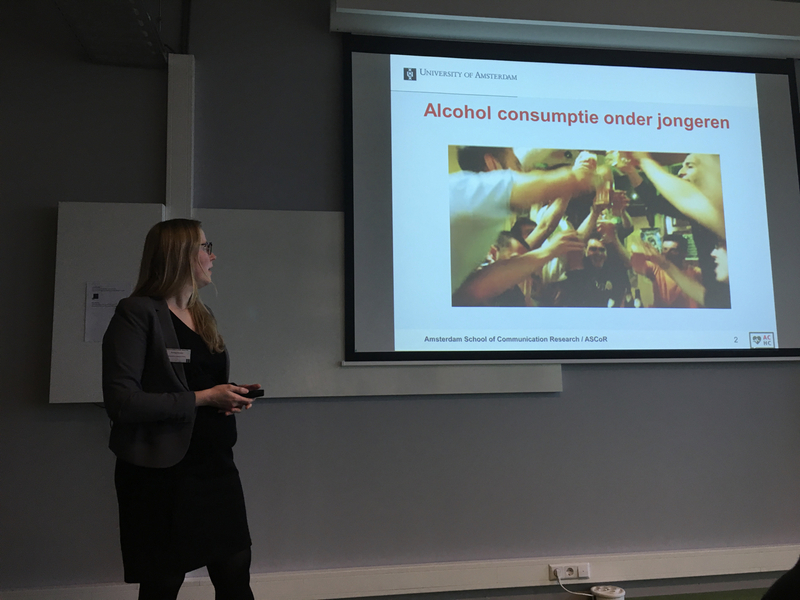 The symposium began, after an introduction, with a presentation by Hanneke Hendriks (University of Amsterdam) on what young people post on social networking sites regarding alcohol and their motivations for doing this. This was followed by a presentation of Kathleen Beullens (Katholieke Universiteit Leuven) who gave a talk about the effects of these type of posts. 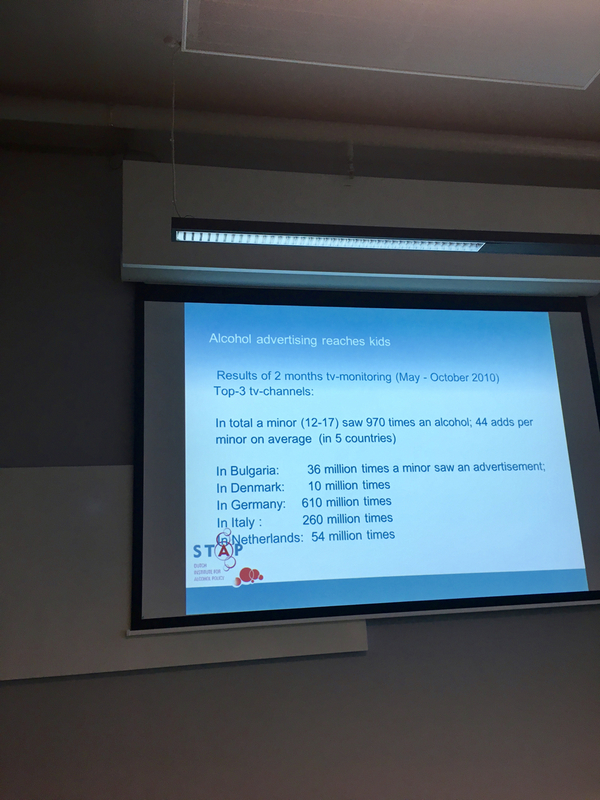 Jeroen Loman (Radboud University Nijmegen) then spoke on whether self-persuasion strategies can be used on Facebook to persuade young people to drink less alcohol. After a short break, two talks were given from practice. Wim van Dalen (director of STAP) spoke about the role of alcohol marketing on social media and Peter Wolf (Director of Stiva) talked about how social marketing about alcohol could be done in a responsible manner. 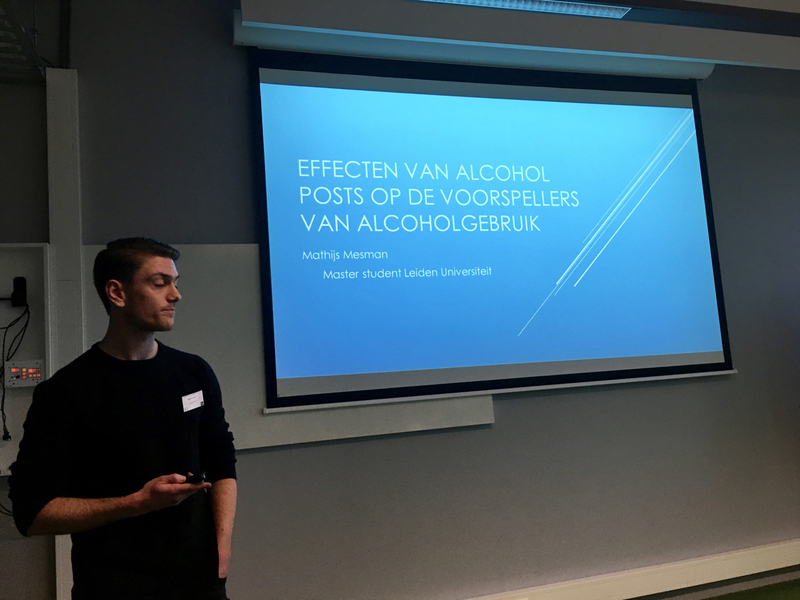 This was followed by two short blitz presentations from Femke Geusens (Katholieke Universiteit Leuven) and Mathijs Mesman (Leiden University) about the effects of alcohol posts, and what these effects depend on. 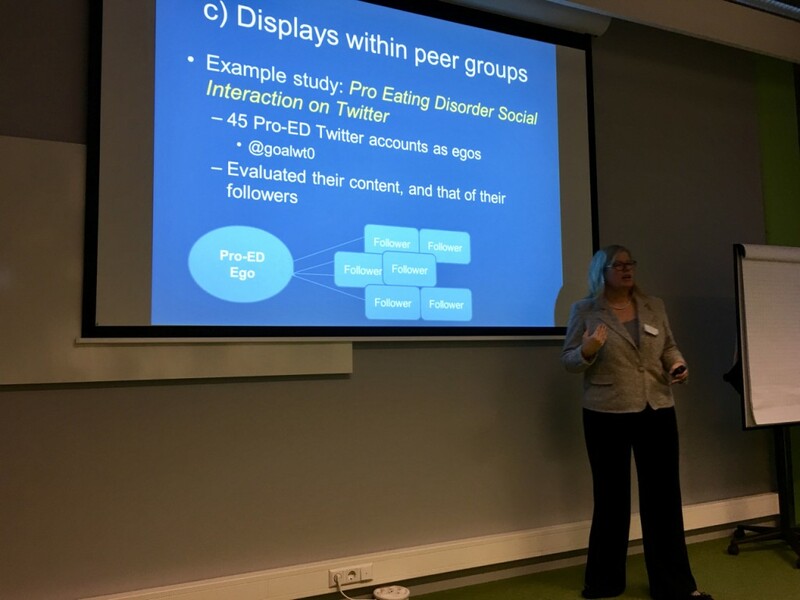 The symposium ended with a keynote from Megan Moreno (University of Washington) on the role of health messages on social media in the lives of adolescents. Both the ACHC and the audience look back on a successful day, with lots of interaction and interest from the public. 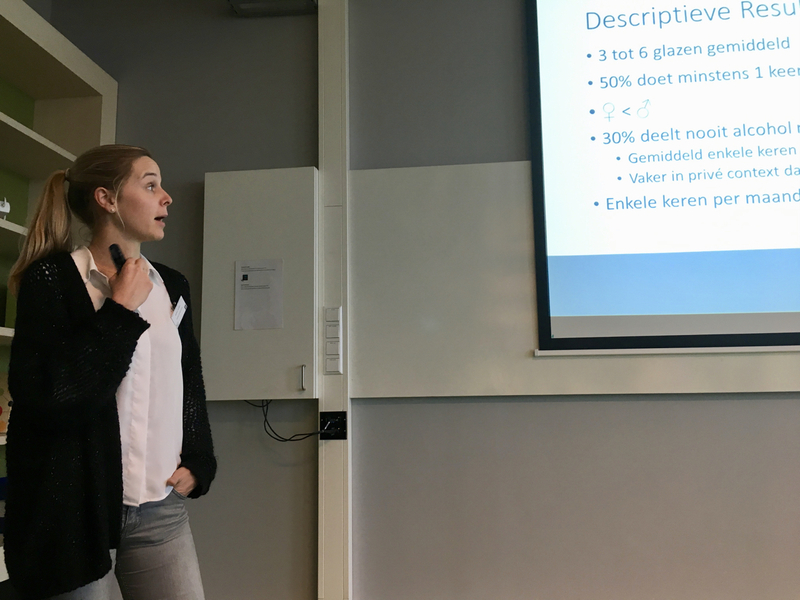 For those who could not attend, or for those who want to see the content of the symposium again, you will find the presentations here.